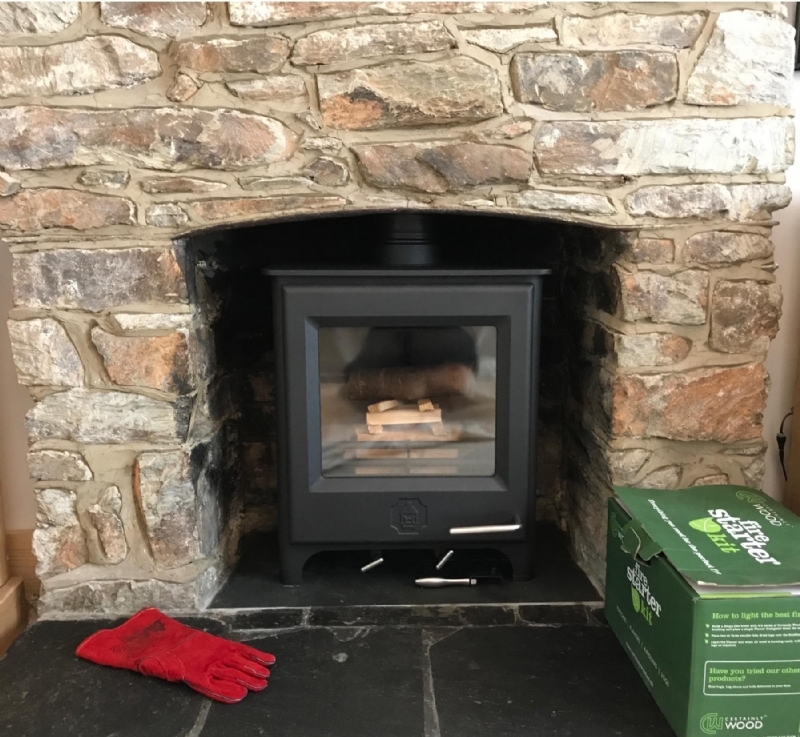 Woodwarm Pheonix Firegem installed in Cornwall wood burning stove installation from Kernow Fires. 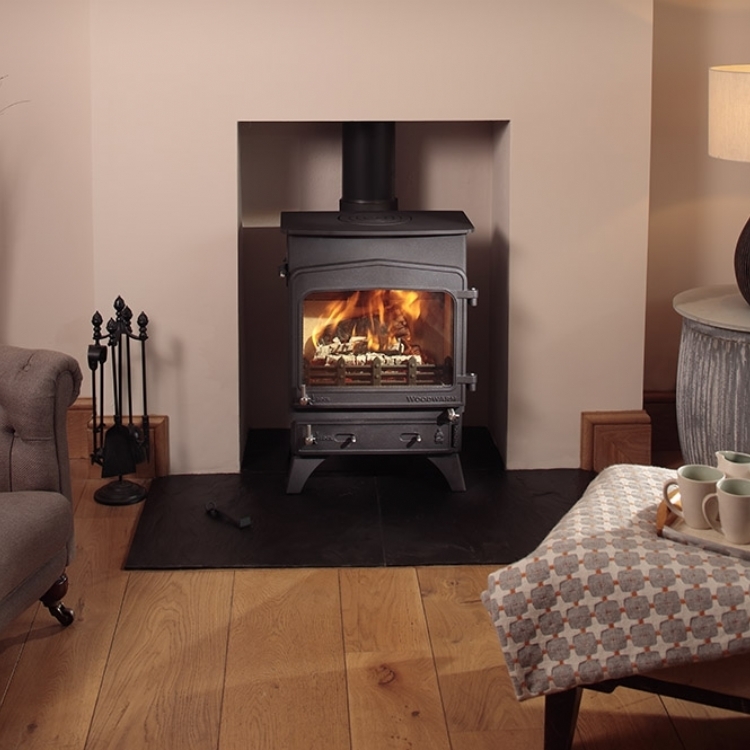 The Woodwarm Firegem is a lovely little fire made by our friends in Devon. 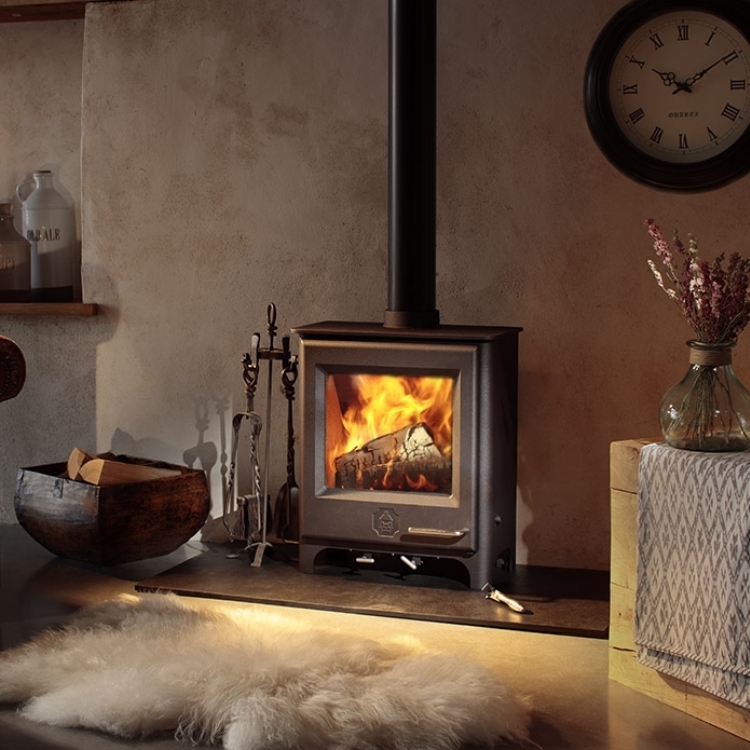 One of the newest Woodwarm stoves it's clean lines are what appeals to customers whilst keeping a traditional feel. The firegem fits prefectly in this lovely old stone fireplace.